Going out with your dog can be tricky since you also have to take care of its hydration needs. If not, you’re risking your pet to develop heat exhaustion. 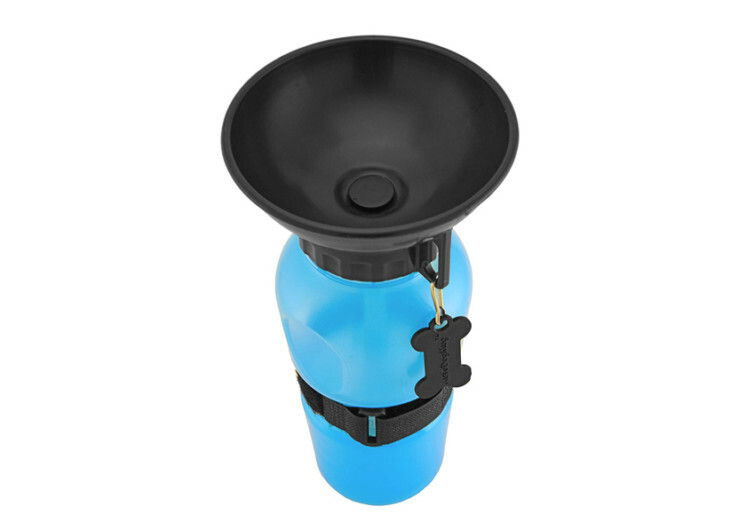 Responsible pet parents always bring with them their dog’s own water bottle and collapsible water bowl. Smart dog lovers, however, always bring the Highwave AutoDog Mug. It’s a simpler and more convenient way to maintain your dog’s hydration needs on the trail. Resembling a stocky travel mug, the AutoDog can accommodate up to 20 ounces of refreshing water for your pet to drink. It comes with a bowl attachment right on top of the lid. The system features a unique valve system that allows water to fill the bowl as you squeeze the body of the mug. This opens the valve and fills the bowl with water. There’s no need to bring a separate bowl. 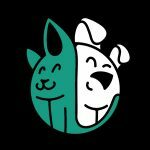 Your dog can drink straight from the bowl itself. And since the bowl is already an integral part of the AutoDog Mug, you can set it on the ground for easier access for the dog. The same unique valve mechanism keeps the water within the chamber. This prevents it from leaking and spilling. Once you release the squeeze, any remaining water on the bowl will go straight back into the mug. You will never waste a single drop of water. 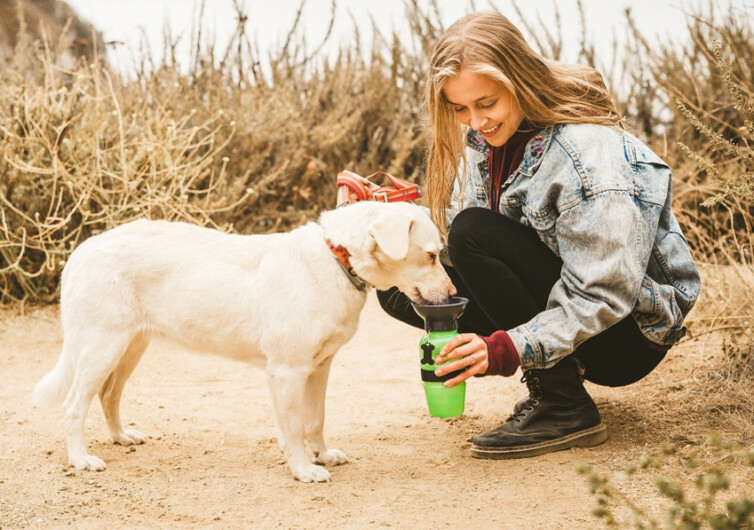 The AutoDog Mug features materials that are free from BPA and other harmful chemicals. 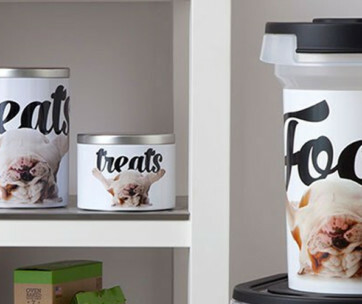 This makes the mug safe for your pet to drink in. 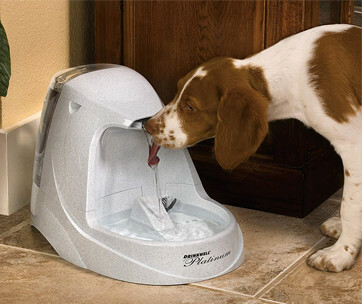 Its material composition also prevents the introduction of unusual tastes in the water so your dog will only get the freshest drink. 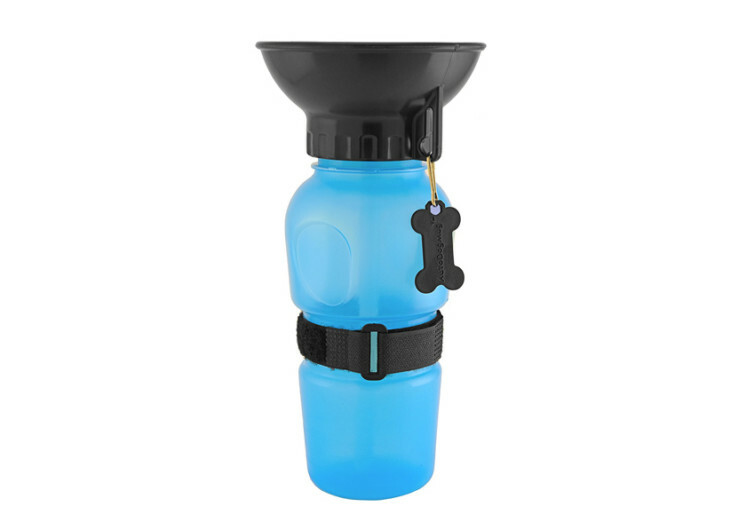 This dog drinking contraption also features a removable Velcro strap which you can attach to almost anything with ease. Attach it to your backpack or any other camping or hiking gear. The same Velcro system can also function as a handle for better grip. It also comes in a size that fits standard-sized cup holders in modern cars. The design of the AutoDog Mug allows for one-handed operation. Conventional dog travel drinking systems require you to use both hands. One will hold the bowl while the other hand will hold the water bottle. You’ll only use one hand with the AutoDog. 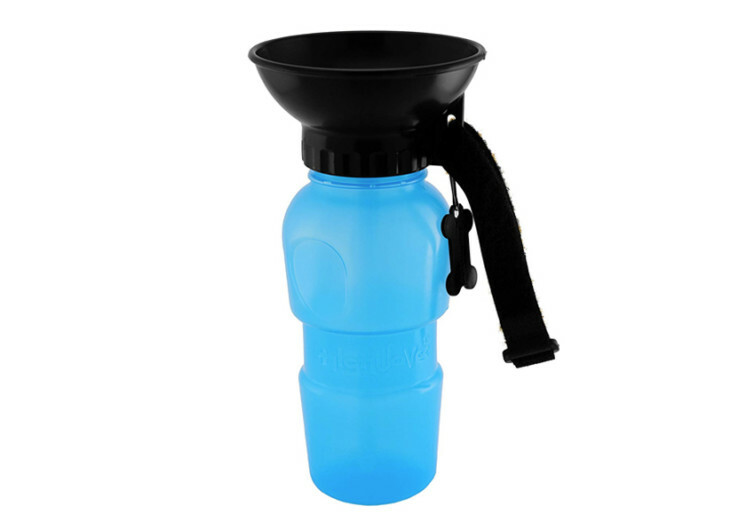 The AutoDog Mug makes sure your dog will never be thirsty whenever you go on a lengthy hike. 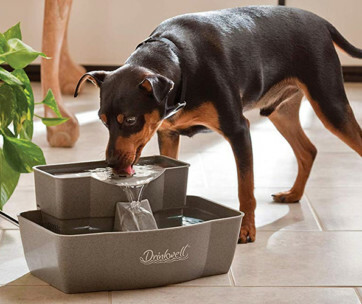 It has a unique design that secures your dog’s water for the long haul.